Lime Run Spring is a 1st magnitude spring located in Suwannee River State Park. The Spring is the end point of the Falmouth Cathedral Cave System, one of the longest known underwater cave systems in the world. The Sabal Trail pipeline is proposed to cross over the cave and under U. S. 90 and CSX railroad all at the same point. Collapse of the cave roof is a distinct possibility at this point. 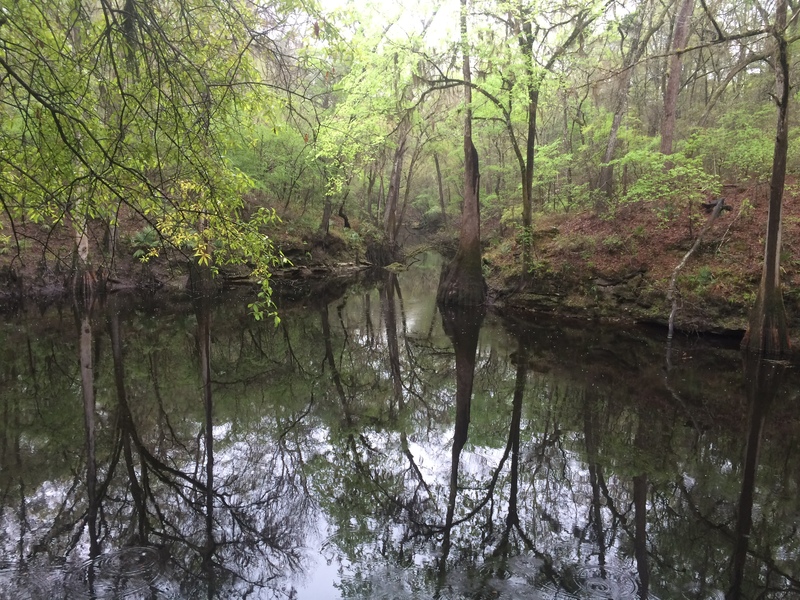 We cannot allow Sabal to jeopardize this natural wonder. Things you can do to help stop Sabal Trail. This entry was posted in Pipeline, Quality, Quantity, Springs and tagged Chris Mericle, Deanna Mericle, Duke Energy, Falmouth Cathedral Cave System, FPL, fracking, Lime Run Spring, methane, Sabal Trail Transmission, Spectra Energy, Suwannee River, Suwannee River State Park, WWALS on March 20, 2016 by Chris Mericle.